Are you confident in the value proposition of your offer? The point of your value proposition is to articulate it so well that prospective customers are able to form four conclusions before they purchase your offer. Then you can use all your copy, all your webpages to drive this home. 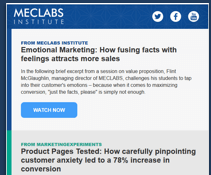 In this research-dense, 50-minute interactive replay, Flint McGlaughlin, managing director of MECLABS, shares those four elements that determine the impact of your value proposition, and he shares the ideas you need to amplify its power in your marketing efforts. I'd rather be the best answer to a tiny market than be a general answer to a broad market where I can't dominate market share and margin. 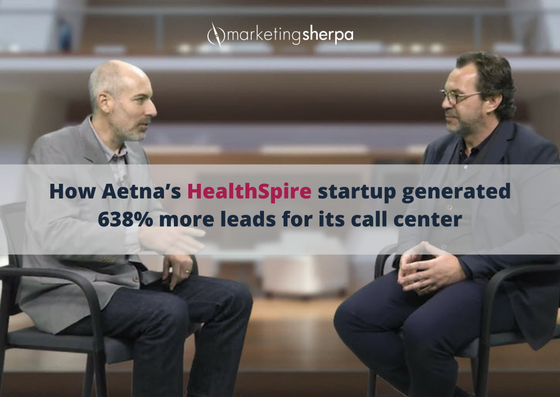 Denis Mrkva, General Manager, HealthSpire, shares an interesting landing page experiment that had a surprising winner in a long form vs short form debate.